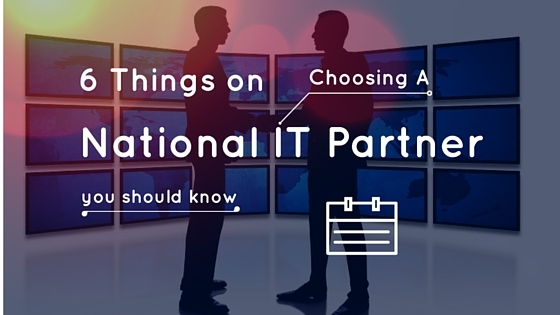 National IT Support - How to find the right partner? Have you just started a business and are overwhelmed with the lack of business support? Small businesses face the greatest risks of facing closure within the first few months of operating. They typically don’t have sufficient experience of the industry nor do they have the funds, resources, or human capital to leverage their capabilities and competencies to be able to go head to head with the competition from more established firms. According to Bloomberg, 80 percent of entrepreneurs fail with their business within the first 18 months. Therefore, if you are an owner of a recently-started enterprise, you could either choose to experiment your entrepreneurship skills with the risk of failure, or you could seek help from a partner that can offer you multiple business benefits at a small cost. 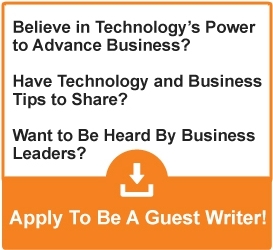 Why Choose an IT partner? One area in which small businesses generally tend to struggle is IT. Since start-ups have limited funds, they cannot acquire sophisticated tools and systems enabling them to stay on par with their competitors. Hiring an in-house IT team is very costly, which is why outsourcing your IT administrative needs to a third-party service provider allows them to attain many cost-efficiencies and technical competitive advantages. Furthermore, small businesses that outsource their IT functions to a third party are able to acquire access to many sophisticated tools and technologies. This materializes in accelerating business processes as well as in achieving higher productivity and business growth. More importantly, the small business is also able to benefit from an IT team that has multiple years of expertise, which might not otherwise be able to put together due to high hiring and training costs. First of all, ask for as many details as you can to ascertain their reliability. Ask everything from the history of the company to years of experience and types of services. You should also make sure that you ask for references that you should contact and ask for their reliability. Furthermore, you need to determine how comfortable you would be in entering a partnership with them and how quickly they can provide on-site support compared to an international service provider. Do they provide 24/7 technical support? Can they be contacted within emergencies? How quickly can they dispatch a team to provide assistance? These are some of the many questions that will allow you to gain a deep understanding about their reliability. The type of products and services also need to be verified as to how they compare to those offered by rivals. The decision of choosing a national IT partner compared to one that is abroad should factor in the high quality of the products and services offered that can allow you to acquire access to innovative IT solutions. You can also ask for their clientele to determine how effectively their products and services have been applied in reputable companies and whether it can address your company’s needs. It is best to ask for all types of costs that you will be required to pay before committing to a long-term contract. Check if there are any hidden and additional costs associated with the usage of their products and services and what offers and discounts can be utilized. This is crucial as your business could face immense cash flow problems paying unexpected costs. The professionalism of an IT firm depends entirely on the capabilities and expertise of its team members. If you want to maximize the potential for your business, be sure to ascertain aspects like how many employees the IT firm has, whether it has separate departments for maintenance and installation, and how much experience they have providing qualities and services to other firms. Getting an idea about pricing and margin flexibility will help you make your decision with a lot more clarity. As a small business, there may be thousands of dollars invested in set-up and administration costs. Therefore, the potential of maximizing your pricing and profit margins is crucial for the survival of your business. This can be determined by finding out how flexible the IT firm is in allowing you to set your own price based on the services you use and what pricing model can best suit your business model. Most importantly, make sure that the product and/or services offered by the IT firm is scalable to accommodate your business needs as it grows. For instance, if you are a retailing business that is expected to open new stores within a city, make sure that the existing IT services that you benefit from can be scaled to support the technical needs of multiple units. In conclusion, choosing a national IT partner can offer you a multitude of IT business support that can enable you to operate your business effectively and efficiency. However, the aforementioned factors need to be considered in making the right choice of selecting an IT partner.